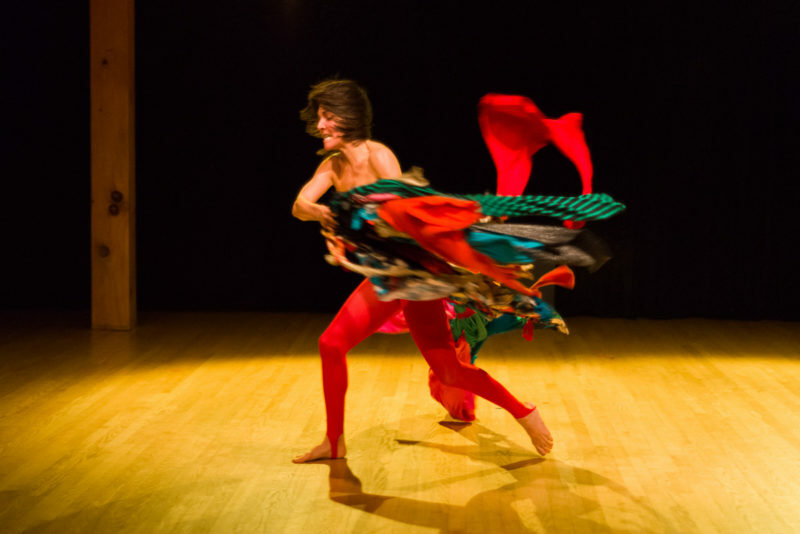 Mariangela Lopez is a Brooklyn-based choreographer and performer from Caracas, Venezuela. Her work has been presented in Australia, Mexico, France, Boston and multiple venues in New York City, including Williamsburg Art Nexus, Dixon Place, Danspace Project, Movement Research at the Judson Church, P.S 122, Tisch School of the Arts, Brooklyn Arts Exchange and MonkeyTown. In 2011 Mariangela collaborated as the choreographer for the “psycho-opera” Stop the Virgens by Yeah Yeah Yeahs' vocalist Karen O, presented at Saint Ann’s Warehouse and at the Vivid Festival at the Sydney Opera House. Mariangela was a Movement Research Artist in Residency (2009-11) and a Brooklyn Arts Exchange (BAX) Artist In Residency (2011-13). In addition to her choreographic work Lopez has an extensive experience as a dance educator, she was the Associate Director of the Community Programs of Gina Gibney Dance (2005-2009) and has taught in places such as Movement Research, Brooklyn Arts Exchange, Dance New Amsterdam, the Harkness Center 92 Street Y and the Laban Institute of Movement Studies, NYC. Mariangela holds a BFA from the Boston Conservatory (1999) and is a Certified Movement Analyst (CMA) from the Laban Institute of Movement Studies. Currently Mariangela is the Movement/Dance Teacher at The Blue School, NYC.